Eat Less | Less. More. Abundantly. There is one sure fire way to lose weight. Eat less and move more. Simple, huh? Not so much. As “Eat Less” is one of the three pillars of this online journey, I am making a broader commitment to health and wellness. I already know what I SHOULD do. I could give you a laundry list of what I SHOULDN’T eat. I can also identify a gazillion ways to move more. However, all of it doesn’t amount to a hill of Pringles if I don’t do put the knowledge into practice. If I don’t confront all the ways I don’t eat less. One thing I know about human behavior. We only do what works for us. In some ways, even our most self destructive behaviors give us some sort of payoff. An addict is an addict because the drugs keep them from feeling pain. A codependent is tied to people in unhealthy ways because she is afraid to be independent. And I am an addict with serious codependency issues. For this entry we will go with dysfunction #1=food addict. My drug of choice? Food. I get my fix everyday. I eat to medicate happiness, sadness and to pass the time. Food isn’t my friend, it’s my own personal brand of heroine. For some it’s a particular food like chocolate or sweets. Nope. I can gorge on steamed edamame as easily as I can on doritos. Often I don’t realize I had a binge until later. I’ll ‘wake up’ hours later, bloated and wondering what I was thinking. The truth? I wasn’t thinking. I was eating. 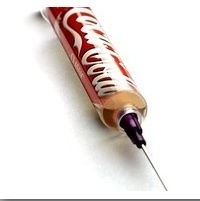 Then there is the coke. I love Coca Cola. I truly do. It’s like battery acid to your body, but I love it. So, the question becomes, how will I fulfill this journey to “Eat Less”? It starts by writing more. By sharing with you ‘the real thing’ (coke pun intended). It starts with acknowledging what I have joked about for far too long. They say one cannot change what one fails to recognize. I recognize it. Over the course of this year long journey to eat less/pray more/love abundantly I will change.